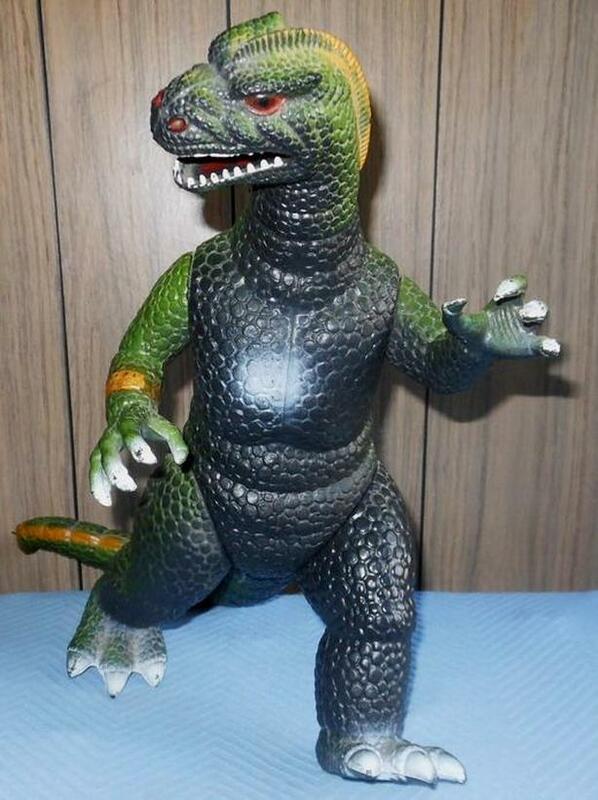  Log In needed $35 · GODZILLA ***1986*** COLLECTIBLE ! 1986 Collectible GODZILLA monster figure 15" high and constructed of sturdy plastic. It is a poseable action figure that allows the head, both arms, both legs and tail to be positioned as you please. The length from the front to the tail is about 17" to give you an idea of the complete size. This is an item I've had for a long time and is in great condition with no broken parts. In fact, the original price sticker from Toy World is lightly taped on to the right arm!!!! NEW (NOT PLAYED WITH) BUT NEVER CAME WITH BOX UPON PURCHASE. btw, Godzilla: King of the Monsters is set to hit theaters in the U.S. on May 31, 2019.